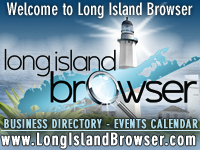 Long Island Browser events calendar is your premier online resource to events, activities and things to do on Long Island covering Nassau County, Suffolk County and the Hamptons, New York. You can find events of interest by browsing through categories, dates or location. You have an upcoming event you would like to advertise? You can add your own Long Island events free. Click here to submit your event. Description: Knitting with Amanda 2019 Knitting Classes at the Quogue Library in Quogue, Suffolk County, Long Island, New York. All levels of experience are welcome to join, from beginners to those with years of experience. If you need help with a pattern, want to learn a new knitting technique, or have never knitted at all and want to learn, then this program is for you. Please bring your own knitting needles and yarn. You may find these items at any craft store. Amanda is a self-taught crochetier, knitter and fiber artist who has over eight years of experience. Amanda began teaching crochet classes in 2014 and the joy of being able to teach others about her favorite hobby inspired her to strike out and come up with her own original patterns. Many of her patterns are inspired by the old traditions of lace-making. Amanda is currently located and teaching crochet and knitting classes in Suffolk County, Long Island, New York.